Kicking things off Los Angeles based artist ABCNT pays homage to two hip-hop icons, with new hand-pulled screen prints of the incomparable Detroit legend J-Dilla, as well as new variant editions of prolific but gone-to-soon Pittsburg producer Mac Miller. Both editions are limited to only 33, so be sure to snag each one individually or in a 2-print set. 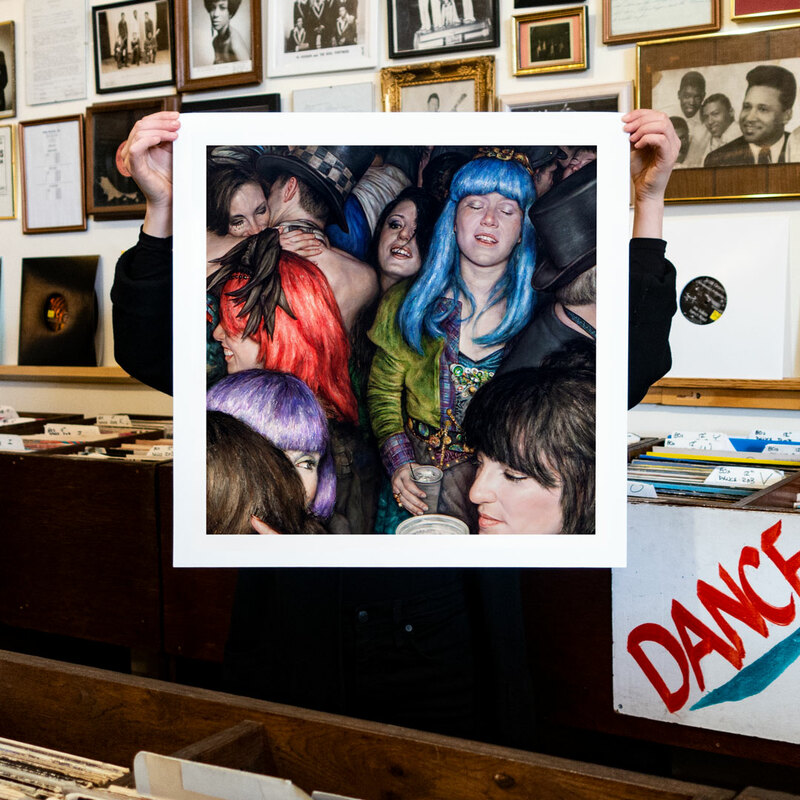 With his ongoing series “I Feel” New York City based artist Dan Witz captures the abundant fleeting euphoria at underground rave scenes. 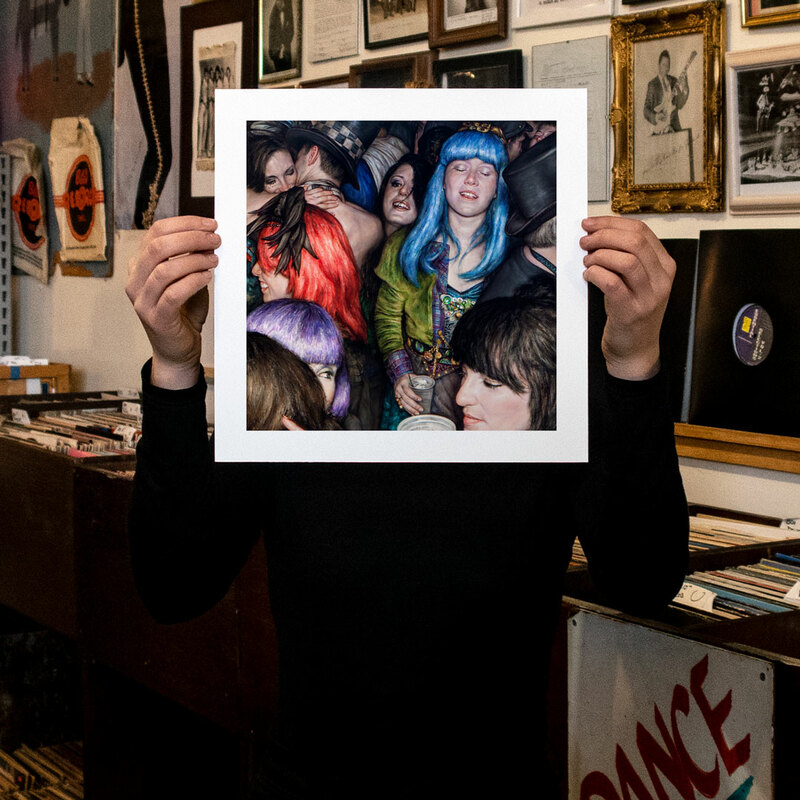 With his latest “I Feel II” Witz is at it again as he first combines 15-20 different photos, all captured throughout different parties, before he assembles them digitally and then dives in to create beautifully realistic oil paintings that captures all the feels condensed into these 12 x 12 and 24 x 24 Inch editions. 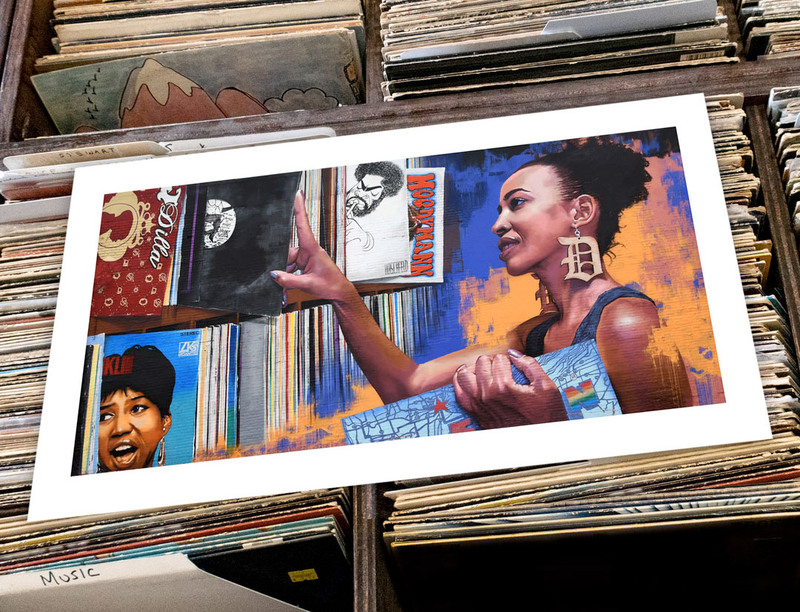 As of 1xRUN’s longest running artists Detroit’s own Glenn Barr serves as an inspiration for our Record Store Day Print Suite. 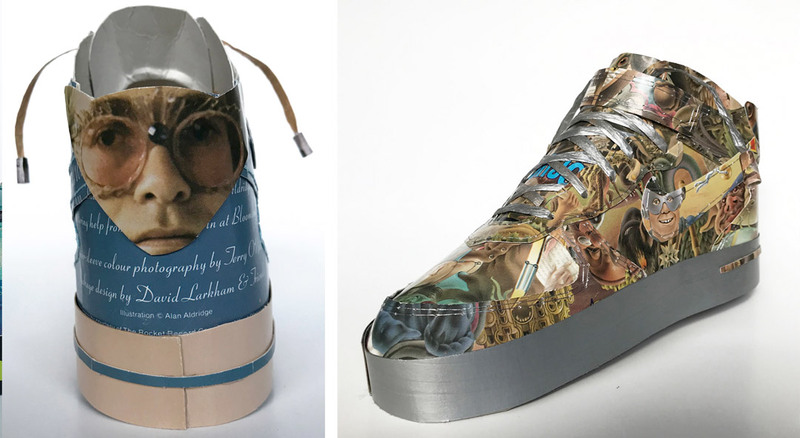 At 323East Barr curated an expansive roster of musically inspired works for his continuing exhibition Lyric, featuring dozens works from a wide variety of different artists, all paying homage to their favorite albums with 12×12 original works. 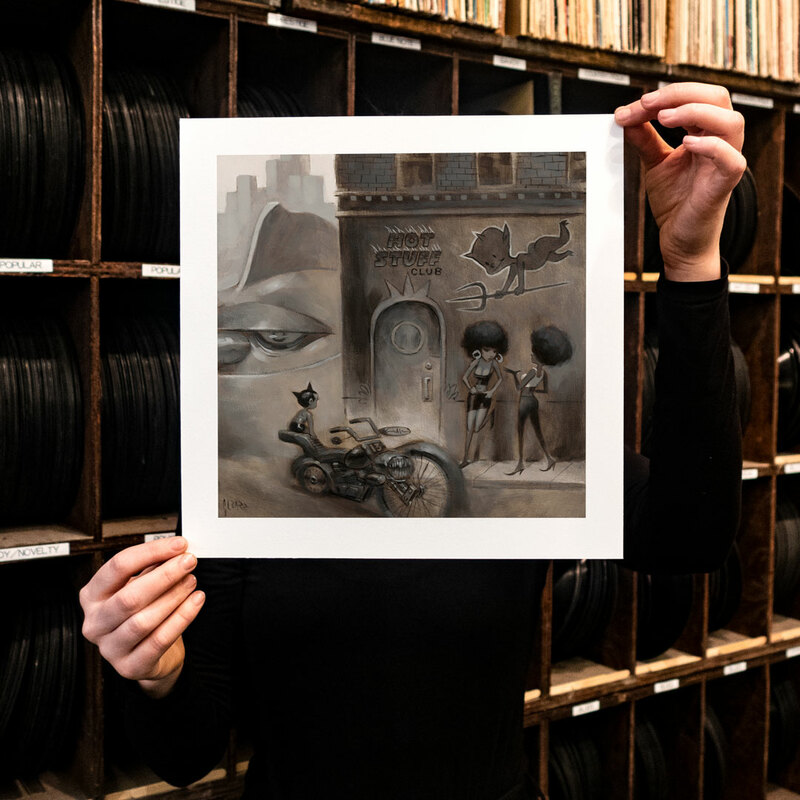 For this year’s Record Store Day Print Suite, Glenn Barr brings us Hot Stuff Club, which captures Barr’s signature post-apocalyptic style as a few bar patrons hang out side of a bar alongside Astroboy. This edition is also limited to just 33 in honor of Record Store Day so be sure to snag one while you still can. 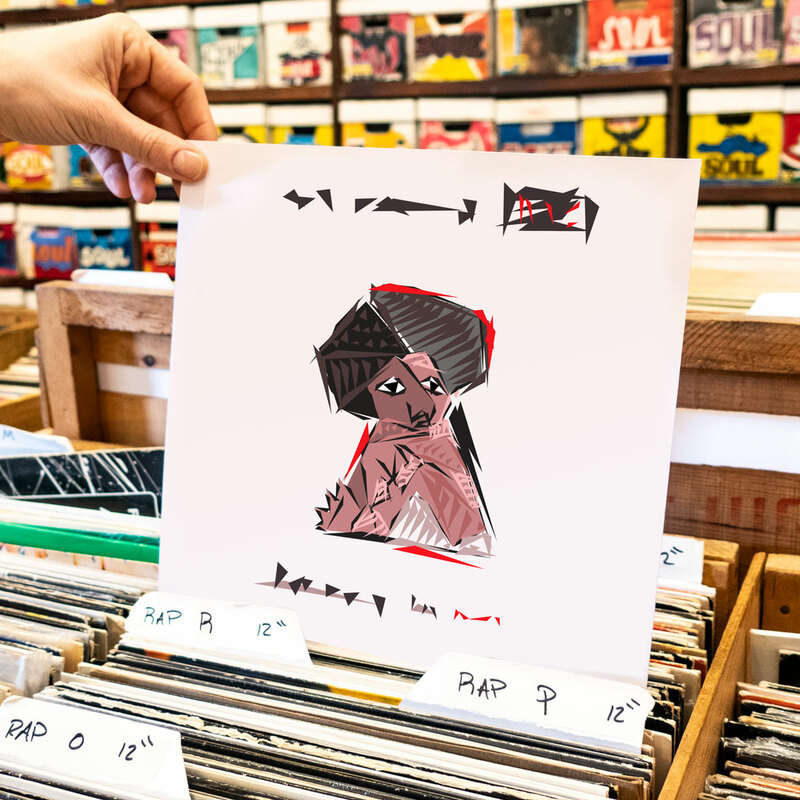 In addition to creating the record crate visuals for Record Store Day 2019, Detroit artist Jesse Kassel pays tribute to three of his favorite artists with new illustrations featuring synths, keyboards and whips for Devo, a banjo, polka dot bra and a country scene for Dolly Parton, and St. Ides, throwing stars and ODB’s license for Wu-Tang Clan just to name a few of the Easter eggs hidden in these editions of 33. Grab each one individually or in a 3 print set. 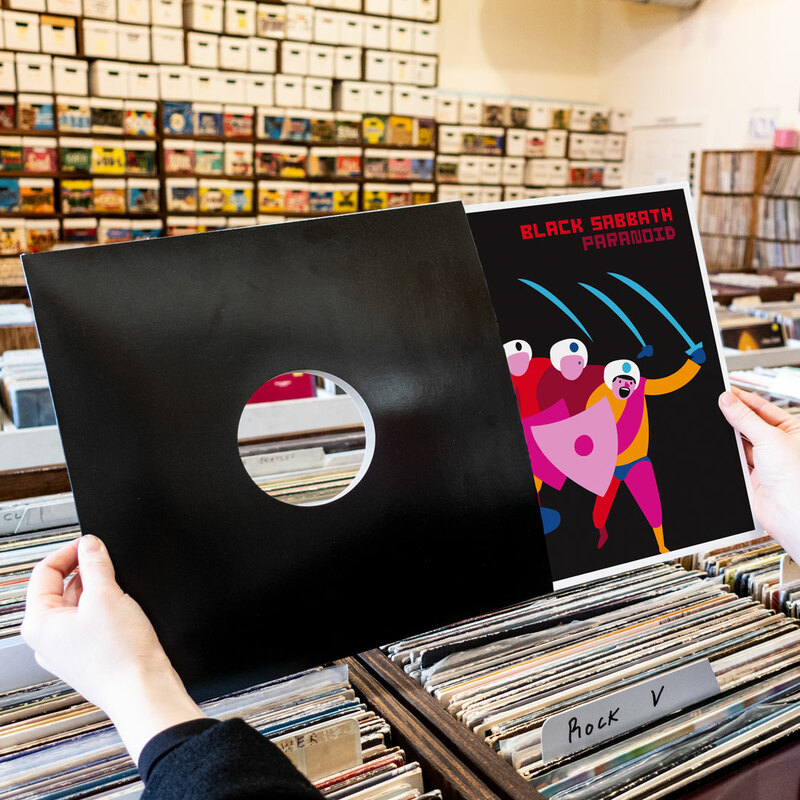 Black Sabbath‘s landmark Paranoid was released back in 1970, nearly 50 years later Philadelphia’s Jim Houser remixes the iconic cover artwork in his signature style. 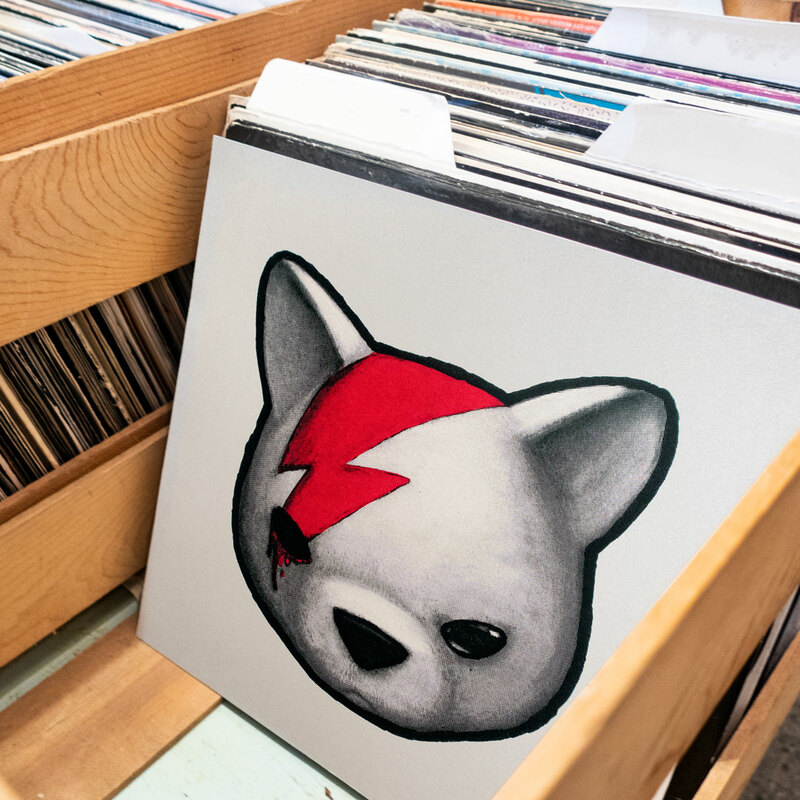 For his Record Store Day print Luke Chueh marries his signature bear icon with the legendary cover art from David Bowie’s 6th album Aladdin Sane. These hand-pulled screen prints feature a shimmering metallic layer for a standard edition of 78, along with an extremely limited hand-embellished edition of just 12. Wrapping things up we welcome back New Orleans born artist Thomas Wimberly, who returns with two new editions and variants, the first reimagining Black Flag‘s debut album Damaged, available in Blue and Orange colorways. Wimberly’s second edition Drop Albums Not Bombs is also available in Blue and Red variant editions. 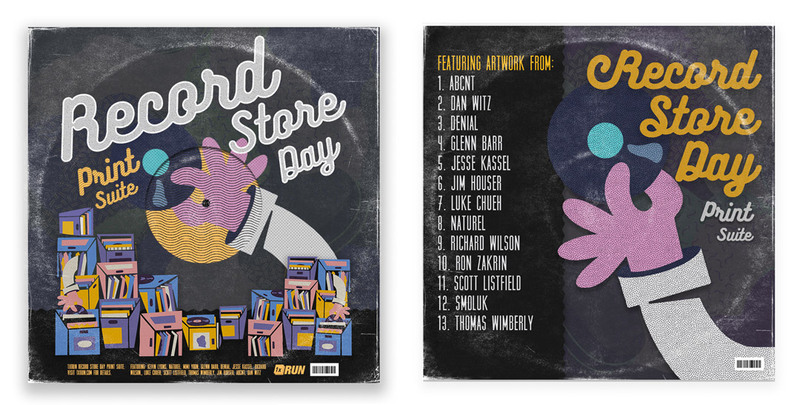 Check out the entire collection as 1xRUN Presents Record Store Day 2019.